With Julie Andrews in Camelot. 1. Robert Goulet was a virtual unknown when he auditioned for the role of Lancelot in the 1960 Broadway stage musical Camelot. Yet, Alan Jay Lerner and Frederick Loewe cast him opposite Richard Burton and Julie Andrews. Goulet held his own and crooned one of the showstoppers "If Ever I Would Leave You"--which became his signature song. 2. Goulet didn't even get a Tony nomination for Camelot, while Burton won Best Actor and Andrews was nominated for Best Actress. Six years later, though, Robert Goulet won a Tony for Best Actor in a Musical for The Happy Time with music and lyrics by Kander & Ebb. Stage producer David Merrick originally planned to cast Yves Montand in the role. Interestingly, the play was set in Canada, which is where the U.S.-born Goulet was raised. 3. Although Robert Goulet recorded several successful albums, he only scored one pop hit on the Billboard Hot 100 chart. "My Love, Forgive Me" peaked at #16 in 1964. The original version of the song enjoyed immense popularity in Italy, where it was known as "Amore scusami." 4. In the 1966 TV series Blue Light, Robert Goulet played a double agent posing as an American journalist in Nazi Germany. French actress Christine Carere portrayed another spy, the only person who knows about Goulet's true identity. The series lasted just seventeen episodes. 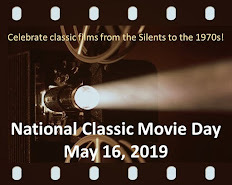 Four of them were written by Larry Cohen (The Invaders, Coronet Blue) edited together and released as the theatrical film I Deal in Danger. 5. 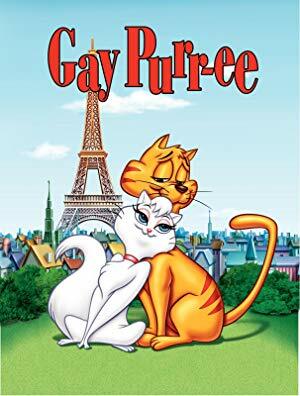 Goulet played a cat...or rather, he provided the voice for the animated cat Jaune-Tom in the movie musical Gay Purr-ee (1962). His leading lady was Judy Garland. The songs were written by Harold Arlen and E.Y. Harburg, who worked with Garland on an earlier musical: The Wizard of Oz. 6. You can still hear Robert Goulet singing on television five nights a week. He croons the opening song to Jimmy Kimmel Live! The tune was composed by Les Pierce, Jonathan Kimmel and Cleto Escobedo III. 7. Robert Goulet was married three times to: Louise Longmore; singer-actress Carol Lawrence; and the former Vera Chochorovska. 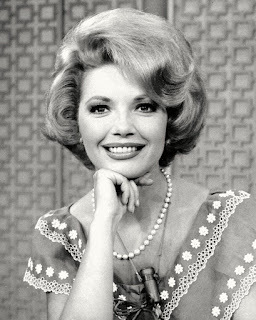 After escaping with her mother from Yugoslavia, Vera eventually relocated to the U.S. in 1980, where she became Goulet's manager. She and Robert Goulet married in 1982. Robert Goulet died from pulmonary fibrosis on October 30, 2007. My kids got to know him and love him as the singing voice of shy kid Mikey on Recess. And my son is very fussy when it comes to singers! I love The Happy Time. If some big-time producer were to revive the play or the musical, I'd have to find a way to get back to New York. I also remember he and his then-wife Carol Lawrence appearing on several quiz shows in the 1960s. Wish it'd be released on DVD. What a voice! I had the pleasure of seeing Mr. Goulet on stage in “Man of La Mancha” where one could get lost in his rendition of “To Dream the Impossible Dream”. I especially enjoyed seeing a youthful pose of him on the record cover you shared. I really enjoyed this post, Rick! Toto, I bet he gave an wonderful live performance! Fascinating stuff, almost all new information, especially the spy series BLUE LIGHT, which I never heard of before. Just when you think you know a lt about classic TV . . . . Item 8 could be--and correct me if I'm wrong--Goulet's singing provoked Elvis to shoot out his television set! (I vaguely recall that from a TV movie.). I was surprised Goulet only had one hit song. He's a wonderful singer (with what I consider the definitive version of "If Ever I Would Leave You"), and his Christmas albums are holiday staples alongside those of Frank Sinatra, Nat King Cole, Andy Williams, et al. And don't forget his appearances as "Mr. G." on a hilarious series of ESPN college basketball commercials in the late '90s, or his cameo in "Scrooged" plugging "Bob Goulet's Old Fashioned Cajun Christmas." He had a wonderful ability to laugh at himself; there was the fiasco when he mangled the words to the National Anthem at the 19654 Clay-Liston title fight in Lewiston, Maine. I can remember him, several times after that, in appearances on "Tonight" and other shows, beginning his set with "Oh, Say Can You See," and joking afterwards that, after all, he was from Canada. That's awesome! He was also good-natured about his mustache. The American Mustache Institute gives the annual Robert Goulet Memorial Mustached American of the Year Award to "the person who best-represents or contributes to the Mustached American community during the prior year, and is named in honor of the late and legendary performer Robert Goulet, whose voice, trademark mustache, sense of humor, and black leather jackets represented a quadruple-threat of talent the American Mustache Institute is proud to salute." Blue Light...oh my, now you've put me on the scent of that TV series. 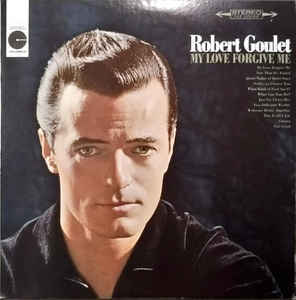 I have always loved Robert Goulet and often play his albums. Not only did he have a great voice but he was so handsome, too! He had a terrific voice and a lot of charisma. I enjoyed his film appearances too, eg 1964's Honeymoon Hotel. If I remember correctly he didn't know the second verse of the national anthem. Until this happened I didn't know there was a second verse. I was a big fan of Blue Light, perhaps the only one. I first saw Goulet on an episode of Alice. I also saw him on The Lucy Show that had Mary Wickes as his secretary. Also in Id Rather Be Rich that had Andy Williams and Sandra Dee.